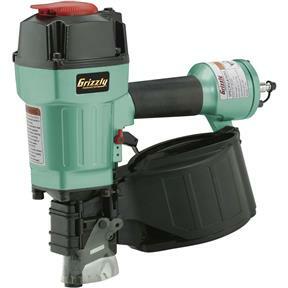 This Coil Roofing Nailer shoots 15° coil nails 1-3/4" - 2-3/4" long and features 225-300 nail capacity and a 360° exhaust port. 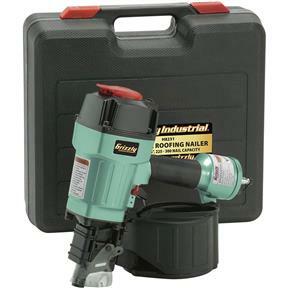 Kit includes Coil Roofing Nail Gun, 1/4" NPT quick connect fitting, Allen® wrenches, goggles, lubricating oil and carrying case 70-100 PSI operating pressureWeighs 7.7 lbs. Ran about 600 Stainless Steel 2inch Samson nails through it. Several missfires towards the ends of the coils. More of a fault of the coil than the gun I suspect. Firing multiple nails seems to be it's only fault.